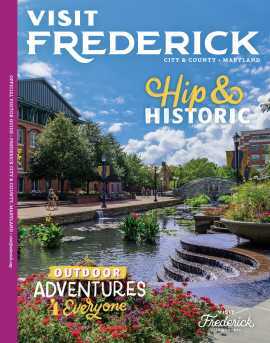 Perhaps your interest in this region&apos;s Civil War history first led you to make Frederick County your destination. Maybe it was searching for the right antique or the perfect water lily. Maybe you wanted to enjoy our rich variety of performing and visual arts. Or maybe you love the outdoors and wanted to experience hiking, biking, camping, golfing and fishing in our stunning parks. You might be setting out to tour our local wineries, to cross real covered bridges, to visit the zoo or to follow the Historic National Road. The rolling hills and abundant farmland of the Frederick County countryside, the well preserved 18th and 19th century architecture of our historic districts, discovering an amazing outdoor mural, or the friendliness of a shopkeeper or innkeeper you encounter all make you realize that this is someplace special!